Nuclear magnetic resonance spectroscopy, most commonly known as NMR spectroscopy, is a research technique that exploits the magnetic properties of certain atomic nuclei. It determines the physical and chemical properties of atoms or the molecules in which they are contained. Ultraviolet–visible spectroscopy or ultraviolet-visible spectrophotometry (UV-Vis or UV/Vis) refers to absorption spectroscopyor reflectance spectroscopy in the ultraviolet-visible spectral region. This means it uses light in the visible and adjacent (near-UV and near-infrared [NIR]) ranges. 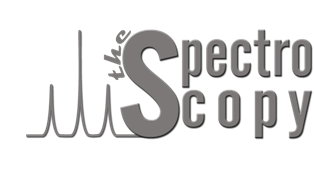 This section consists of all NMR Spectroscopy related articles. This section consists of all Infra-Red (IR) Spectroscopy related articles. This section consists of all Mass Spectrometry related articles. This section consists of all UV-Visible Spectroscopy related articles.